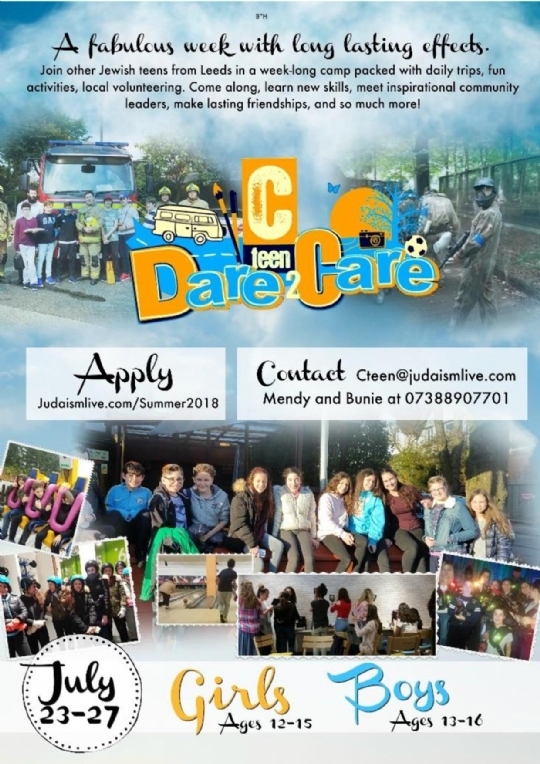 Dare-2-Care offers a week-long blend of activities which gives an opportunity for the children to see Leeds Jewish Community life in action. They will meet community leaders, experience hands-on community care and still have time in the afternoon for recreational activities and trips. It is no secret that our teenagers need constructive ways to utilise their creative activities. 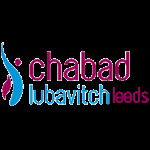 We feel this unique experience will give them a healthy focus on the good Jewish values that we endeavour to instil in them. To Book in click here. This unique programme runs from 23rd - 27th July and is available for Girls ages 12 - 15 and Boys ages 14 - 16. You can read about last year's Dare-2-Care here . The closing date for applications is Friday 7th July, but please register your interest as soon as possible as we have limited spaces.